Boasting a solid steel frame with a focus on stability, the SC1 bike is designed to emulate the noticeably smoother feel of freshly cured asphalt that every cyclist yearns for. Ergonomically built and engineered for simplicity and function, the SC1 can be upgraded with the Stages Power meter and a standard battery powered console. 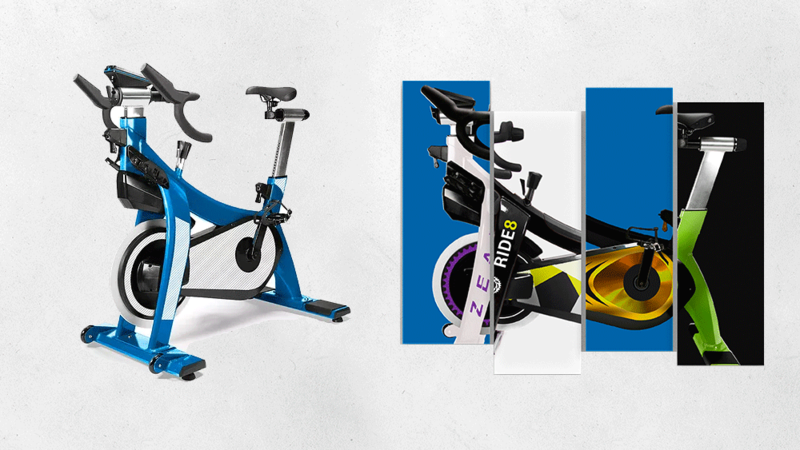 The SC1 is our entry level bike, but still offers premium features, and is the perfect bike for the high end studio that is not focusing on data tracking or measurement. The Stages Gates® Carbon Drive™ carbon fiber belt is backed by Stages’ unparalleled 10-year warranty. Combined with a 5:1 gear ratio and perimeter-weighted flywheel, the SC drive system supplies a sublime feeling of inertia for that real outdoor experience. None of the lubrication, maintenance, or replacement costs of a chain or poly-v drive are required. Stages' proprietary, easy to use fore aft adjustments are a simple, quick way to get the perfect bike fit. The StagesFit process on SC1 features patent-pending fore aft adjustments and standard pop-pin twist-to-lock height adjustments. The smooth magnetic eddy current resistance paired with the micro-adjust dial and emergency push-to-stop knob ensures a smooth, satisfying and safe ride. The Stages RoadBar handlebars provide a comfortable and ergonomically sound ride. Multiple hand positions will cater for all levels of intensity whether you're in race mode or in climbing position. The StagesFit system allows users to quickly and easily adjust the seat and handlebars to ensure correct and comfortable riding position. They are adjustable both heigh and fore-aft. The pedals boast both SPD and toe cage options to cater for all levels or riders. Your studio should look the way you want it. For this reason Stages have implemented a custom branded offering - enabling custom branding of the SC Indoor Cycle range. Change the paint colours to suit your brand. Incorporate your logo onto various design features of the bikes. Add optional accessories to implement new and exciting workout options to ensure new and exciting programs. We have over 156 different color options available in the standard custom range. In addition to those 156 colors we have a prestige color matching service also available. The fore aft and resistance knobs are available in Red, Blue or Black and our "Fitlocs" will be available in Blue or Black. Work with one of our product consultants to produce a design that represents your brand and your studio identity. Our designers will need your artwork in vector format and will provide some renders of how your new custom bike will look prior to signing off for approval. NOTE: Custom bikes require a minimum order quantity of 24 bikes and a down payment deposit of 70% is required to secure your order. Typical lead times to production is 12 weeks plus shipping. Adjustable height, fore & aft.